**Accessing the swashes / opentype features / glyphs: **In order to access the alternate characters in this font, you need a program that supports OpenType features such as Adobe Indesign, Adobe Illustrator CS, or Adobe Photoshop CC. **More Questions? ** Here are some (potential) answers! – Commercial exercise for this font is allowed for unlimited projects! – Fonts are not allowed to be used in templates for sale (on the internet, printed, or on an app). – You are not permitted to resell this font in any way. 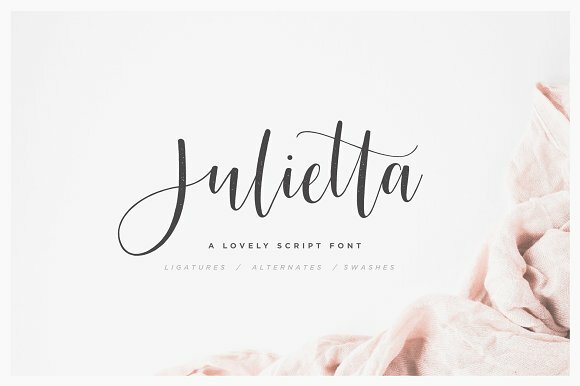 A font description published on Monday, July 16th, 2018 in Fonts, Script by Andrei that has 2,325 views.